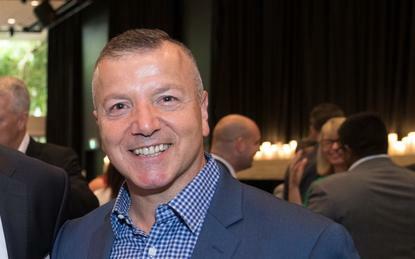 Greg Mikaelian has re-joined Acer as general manager of channels and marketing locally, exiting his role as region sales manager of OKI Data across Oceania in the process. Oki Data Australia and New Zealand confirmed with ARN that Mikaelian left the vendor a month ago, and is currently recruiting for a replacement. The move marks Mikaelian's second stint at Acer, having previously worked for the hardware vendor for 13 years between 1997 and 2010. He left in July 2010 when he was general manager for channel sales Australia. At the time, Anthony Vita, who is now HP's alliance business manager, replaced Mikaelian. Mikaelian helped with the design and built of a $600 million multi-tiered channel based vendor business, according to his LinkedIn profile - he was in charge of up to three managers, 12 direct staff and more than 50 indirect staff. In January 2011, after briefly joining MSI Corporate, he joined Oki Data A/NZ where he spent the last seven years. Mikaelian helped the Printing vendor launch the Channel One Incentive and Rewards program in 2014. “Over the next 12 months we plan to go on a strong recruitment drive and build a premier channel to support this expansion,” he said at the time. As Acer's general manager for channels and marketing, Mikaelian will be responsible for managing SMB (small and medium business) channel and distribution.